Hope you've all been keeping warm and toasty as the days get cooler! It's getting a bit chilly here in Nigeria but still blazing hot and dry in the afternoons. It rains once in a while but not as much as in August. This week...no this month has been sad for me on so many levels. There was the funeral of my peace loving aunt which took place yesterday and the upcoming funeral of my paternal grandfather, next week. With all the funeral preparations taking first place and my hair taking second place, I decided to put my hair in a long term protective style. The style I chose was YARN BRAIDS. This is my first time, putting in yarn. I was encouraged by this hot fifty year old mum I met when I travelled! She had beautiful yarn braids and told me how she'd had it in for 2months, how it felt really light, how it was low maintenance and gentle on her edges. I think it was the "edges " bit that had me sold. I have really fragile edges and the slightest pull will uproot them... and that's not a good look for me! She suggested I try making it waist length... I love that woman! She's one happening mama! So, about two weeks later when I was no longer travelling around, I woke up one morning and headed out to get my hair done! I don't usually make appointments for getting my hair done. I just wake up one day and head down to the nearest hair salon that specialise in braiding children's hair. I do this because more children than adults in Nigeria have natural hair and kids cry a lot,so the braiders are gentler and are a bit more understanding when you wince and talk about tight braids. Prior to heading off to the salons, I co-washed my hair with VO5 conditioner , finger detangled, moisturised with NappyUbermoist Hair Pudding and put my hair in medium twists (about 10) to stretch. With my porous hair and twists, I was sure my hair would dry by the time I located a salon. Remember, I just upped and decided to head for the salon. Ideally, I should prepare my hair a day or two before. So, it was with my twists in that I approached the braider. 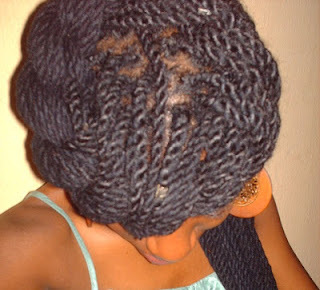 In Nigeria, if your hair is natural and you are in braids or twists, it's assumed that you don't have much money....ha! If only they could see my "hair junk-in-da trunk!" And being small boned didn't really help my case...or..... I think it did because on the bright side, I think I got off really cheap (N1700) for medium sized waist length hair. I was advised to buy 8 rolls of "baby wool acrylic" yarn which was supposed to be light and can be used on children. (Better for me!). It cost me N600 for 8. I got back to the braider and our business began! I took down my twists starting from the back. (She offered to help but I said "no thanks". I don't think anyone can be as gentle with my hair as I am and the less pain I feel, the better ). Now, if you are a fine haired natural like me, you'll know that our hair looks smaller braided or twisted but once unleashed.....ROAR!!!!
" Ahh, auntie, the money wey I charge you small o! Your hair too plenty. " I ignored her. Too bad for you, better for my pocket! Ha! I fingercombed out my hair and held it up loosely with a rubber band. I did this so my hair won't tangle or dry out much. I gave her my wide tooth comb to be used only when necessary. I also brought out my conditioning hair spritz and hair pudding (I packed sample sizes in my salon bag) just in case my hair got too dry. I insisted she made medium sized sections of my hair to reduce breakage and because I didn't want my yarns too small and thick which equals heavy hair and more take down time. About seven (7) hours later, we were done. P.S. 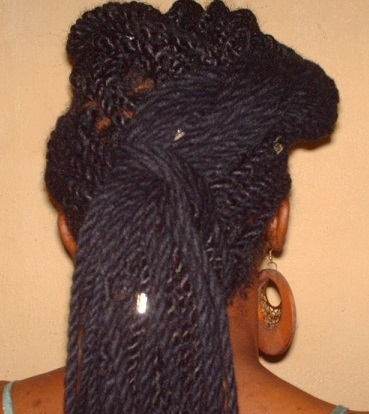 in Nigeria, no one really calls it "yarn braids", just say you want to braid or twist with "wool". I also experimented with different ways to style it. Top braid and tuck. Front view. That's a close up of what it looks like in front. I gathered my hair towards the front and made a single thick braid. Then I rolled it and tucked it, holding with bobby pins. I don't know what to call this one but I simply sectioned my hair into two across. Then flat twisted the front part towards the back of my head and gathered at the back. That's it from the top. Yarn braids/twists are protective styles with a life span of up to two months. Some have it in longer than that but personally, my limit is 3weeks to a month. 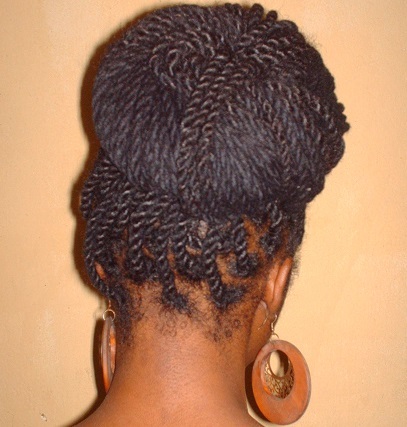 This style helps reduce direct manipulation of your hair and is used by many women to grow out their hair. It's tempting to ignore your hair in this style and this can be counter productive. It is important to still care for your hair. A simple routine I had while my hair was all twisted up was as follows. 1. Every two days I applied castor oil to my hair line in the front and nape. 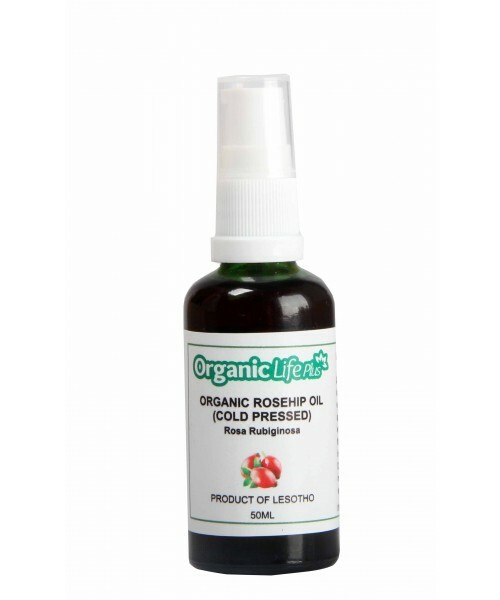 This was to prevent the loss of hair in those areas which for me are really fragile. 2. 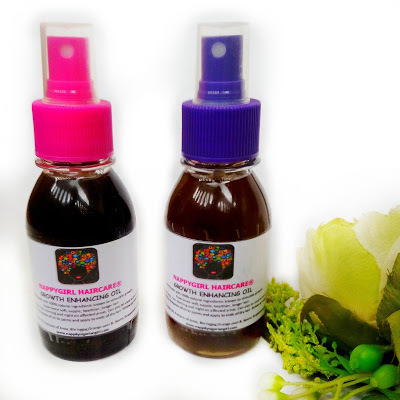 To the whole hair starting from the tips of my own hair in the yarn to the root, I spray on a simple mix of equal parts water and olive oil. You can use any light oil of your choice. I keep the mix simple to reduce buildup. 3. Once a week, I cleanse my hair. I do this by diluting shampoo in a spray bottle with clean water. Then I spritz my scalp, roots and down the length of my own hair in the yarn. I do this twist to twist, massaging gently with the pads of my fingers to dissolve dirt, oil and whatnots. I use a clean white cotton handkerchief to dab off excess water/shampoo mix and keep respritzing amd cleaning until the hanky comes up clean. I then fill up the already emptied spray bottle with clean water and spritz to rinse off the shampoo mix. Then I dab dry with a cotton Tee this time around. 4. While my hair is still damp, I spray a conditioner/oil/water mix in a ratio of about 1:1:3. Personally, I don't do ratios. I just mix in until it's a consistency I want. Then I leave to air dry. Since the yarn is wet and I have it as long as waist length, I have to deal with the uncomfortable heaviness. #sigh and because of this, I dread the twice a week full washing!!!! I couldn't stand it so I first of all chopped my twists before week three and then took down the yarn braids before a month!!! But that's just the way I'm wired.....I guess you can do better! 6. My nighttime routine is making a big braid on top of my head, wrapping the braid with a big satin scarf and then stuffing it all in a satin bonnet. On lazy nights, I do the braid and hit it! Wrong I know....but we all have those days when your hair is the least of your problems. So that's it on yarn braids/twists. 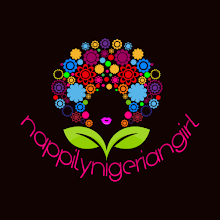 Please do share your own tips and pics on nappilynigeriangirl@gmail.com and I'll feature you! Your style is beautiful. 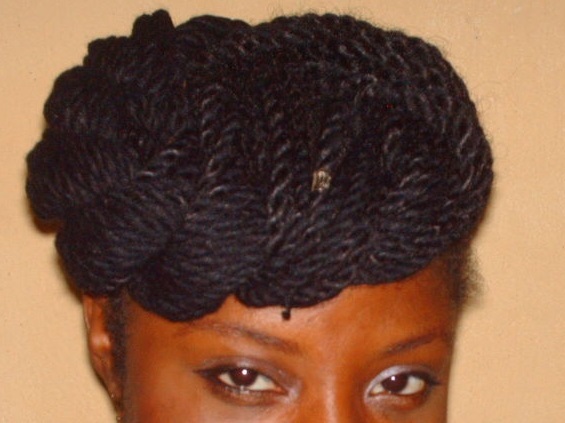 I was thinking if it will be ok to put in short one.Do you know the total number of twists that was made? I wan to make a style like that, but i need more direction. Thank you. Thanks Nkem! Yes,shorter ones look nice. I did it longer to make styling easier. I really can't remember the number of twists done because I didn't do it myself but the stylist told me to pick out five threads of yarn which she folded in two. I wanted medium sized twists so if you want it thicker or thinner, you can increase or reduce the number of individual threads of yarn. Some stylists braid at the roots before twisting but mine twisted it straight from the roots. I think it looks neater and natural that way. This is definitely late #sigh but I think you'd need more than 5 strands of yarn to get it thicker. Thank you! I'll be happy to help out. She can send me a mail to nappilynigeriangirl@gmail.com and we'll chat. 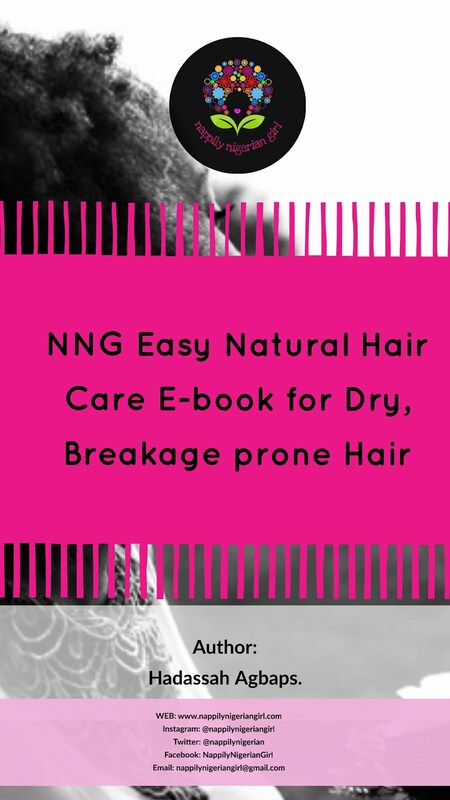 There's also a natural hair basics tab on the blog where I shared basic tips for going and staying natural.